One would think that with all my eagerness and planning to see Ocean’s 8 asap, I would have gotten this post up sooner – but it was not to be. All I expected from this movie was a fun, relaxing time, some laughs, glamor, an intelligent plot with twists and some good acting, with the bonus of Richard Armitage. I’d have seen this film with or without him because I’m a fan of heist movies,and was already familiar with the Ocean’s franchise. Ocean’s 11 was great fun. Ocean’s 12 was unwatchable and Ocean’s 13, was not the cleverest, but the funniest. I wasn’t disappointed. I enjoyed every minute of the movie and think it could have been longer to include more. It’s worth seeing more than once to take everything in. Some explanations and one or two line bits of dialogue move so quickly, it’s possible to miss something key – something that matters later. I saw the film twice, sort of, and had to go back over it in my mind to see what I missed the first time. I plan to see it a few more times when I can. The formula of this franchise is to assemble a stunning, large, mostly A-list, diverse cast who play experts, either as con artists, actors, hackers and other talents, whose mission is to execute some impossible heist. There is always some revenge or payback reason for choosing the mark , aside from the potentially huge financial score. Ocean’s 8 keeps the flavor and general outline of the Ocean’s franchise without artificially wedding itself to the precise formula. We’ve got an A-list ensemble crew of female artists well known in their fields – big talent. There’s a seemingly impossible heist and a fast moving pace. We don’t have a real villain, not even an antagonist in the present, but we do have a revenge plot and the male version of the stunning female – but without the recognition of a Julia Roberts or Catherine Zeta Jones. What a bummer – All we have is Richard Armitage, as the mastermind’s ex, who put her in prison for five years plus years, and if possible, he’s gonna pay for that. He doesn’t bring that A List recognition ( ask @DanaSchwartzzz about that) and he’s not evil or menacing. His only contribution on screen is some some fine acting in a small but glamorous role and his knock out good looks. And while his screen time and dialogue is minimal, his character, Claude Becker, gets a lot of mention when he’s off screen. He’s essential to Debbie’s plot. This was an almost perfect movie for me to want to see. It would have been more perfect for me, if Claude Becker had been drawn differently, but I’ll get to that in Part 2. If you’re reading this, you know that Debbie Ocean ( Sandra Bullock), Danny’s sister, has been released from prison after she was set up by Claude Becker, her ex-boyfriend. It’s not clear right away what he did to her, but early in the film, it becomes clear that she’s got a grudge. She meets up with her former partner, and it seems like another lover, Lou (Cate Blanchette) and Debbie and Lou begin to plan their heist. But right off the bat, in one of the earliest scenes in the film, Debbie can’t seem to help herself – she takes herself to Claude’s art gallery for no specific reason. Curiosity? Threats? Warning? Whatever the reason, it’s obvious from the beginning, that Debbie hasn’t let go. As she explains later – maybe she just needs closure. This initial and very brief scene is one of my favorites and it contains a delightful treat for Richard Armitage fans. I was deeming this as a spoiler at first, but then I discovered that bless her heart, RA_US saw fit to publish it on Twitter, so the jig is up. That Claude would stack these magazines, and no others, in his art gallery, says a lot about the sort of guy he is and his self image. It’s hard to read most of the text, but one can’t miss the upper right hand corner which boasts How to Starve Artists, which is something to be said for a gallery owner. ( Photoshoppers, if you can do better with the text, please advise). In addition, there’s a scene before Debbie enters, where he’s bragging to some woman about the number and location of his satellite galleries. When Lou learns this of Debbie’s visit, she’s annoyed. Her view is that there shouldn’t be a job within a job, or as she puts it later, she doesn’t understand why Debbie has to put an asterisk on every job. Basically, Lou’s not on board if this heist is about revenge, and Debbie promises her that it isn’t. Hmmm. We’ll see. One of the trailers actually spoils this. The mark in this heist is a $ 150M diamond necklace by Cartier, that’s been stashed away in the Cartier vault 50 feet underground for 50 years. The challenge? How to get it above ground and around the neck of Daphne Kluger ( Anne Hathaway) a leading lady actress and sponsor of that year’s Met Gala. The job? Robbing the necklace right off her neck at the Met Gala, an homage to fashion and the famous – the party of the year. They’ve got 5 or 6 weeks to get it together. Debbie and Lou start to put together their crew of women. They hash out some names for the positions that need filling, and Debbie makes it clear she doesn’t want any guys because guys get noticed, women don’t and this is one time they don’t want to be noticed. One by one the team is collected. I’l give credit here to some of these bits. The assembly of the team is fun to watch as either Debbie or Lou, or both, knock heads to figure out who to choose and more or less audition their candidates. But we get only the briefest backstory for most of the crew. Best for me was Rose, the designer, who is on her last designer legs, having put all she has ( which isn’t much by this time – she’s 5 million in debt) into a last collection. You don’t want to miss this fashion show, or the snide remarks about the frocks. I’ve often thought when I’ve seen HBC on the red carpet – what the hell was she thinking? But Rose’s fashion collection takes the cake and is as far from HBC’s style as can be possible. It’s a gas. I was also charmed by Awkafina, who gets no back story at all – but I think she lights up the screen, despite that I couldn’t always understand what the hell she was saying, or Rihanna, for that matter due to their street talk. But overall, I was a little disappointed in the hiring process, (Rihanna, the Hacker, shows up out of seemingly thin air) and her qualifications are only that she’s the best hacker there is, who isn’t a Russian man. But she’s a damned good one. Once they get together, however, there are some clever and humorous moments between and among them, for example when suburban mom, Tammy (The Fence) is juggling Debbie’s recruitment of her with bratty kids somewhere in Westchester or Nine Ball is demonstrating to Debbie and Lou how bad their internet security is – and how rad she is at her job. But, on the whole, I didn’t feel the same sort of bonding among this group as I did with the male versions of Ocean. It grows as they work together, and there’s definitely precision teamwork during the heist and in some lead-ups, but that strong connection wasn’t there for me until the final scenes. But there are are fun scenes where the group or most of them is together in their hideout Brooklyn loft, especially the scene where Debbie gives a power point presentation of the heist and a couple of the crew, who have never been glamorous or rich, but are just, you know, girls who want to have fun, wish they can just go to the party without stealing anything. The five in the loft are watching the two at work, remotely, at Cartier. Watching these pieces unfold was delightful, and some of the ruses were super clever. If I didn’t laugh out loud, I certainly smiled a lot, or gave a frequent chuckle. Then there is the use of modern tech, which was actually educational. Using 3-D printers, specially fitted glasses with wireless signals, hacking into Facebook pages, using computer cameras, and security systems, a little biology, a touch of chemistry, 1,000 safety pins- nothing the viewer could not understand… the plan falls into place – or some of it. The audience never knows the whole plan until it happens, and sometimes, afterwards. Like the original Ocean films, a lot of the action takes place in flashbacks or simultaneous action with voice-over narration. But listen and watch carefully, because few facts are mentioned twice. Fortunately, otherwise it would be a total bore, there are a few hiccups that need quick thinking technical skills, and occasionally, a little sister, to work out the bugs. Some of the most fun bits were those that solved problems and this provided a much needed bit of tension – even though we know it’ll work out. For any fashionista, this movie is a winner. From the everyday outfits the crew wear, especially Cate Blanchett and Helen Bonham-Carter, to the fabulous gowns and jewels at the Gala, it’s a feast for the eyes. Not every dress was a winner in my eyes, in fact, the most boring ( and I think this was intentional) had to be the Valentino getup Rose makes Daphne wear to show off the necklace. While I thought the train on the beaded coat/cape made an impact as she walked up the Met stairs and I know that kind of hand beading costs a small fortune, the strapless dress was quite simple and not at all as avant garde as it should have been for the key celebrity sponsor. I’d say, lose the cape/coat, bead the dress instead and add a train.As it was, my college roommate wore a similar design a million years ago when she was Daisy Chain Princess. Honestly, I was taken aback when I realized, as the text on the screen gave the date, that we’d gotten to the night of the Gala so soon, though I’m not certain what more planning could have been done up to that point. I realized after, that I’d seen just about every bit of preparation (minus one or two surprises) unfold, yet It just seemed rushed to me. Of course, another highlight of the film are the cameos of the celebrities, all filmed at the Met during a few nights. I can’t say I caught every one of them, it moved sort of fast. Debbie gets into a conversation in German with Heidi Klum, Zac Posner is sitting at the main table with Daphne and Claude, Anna Wintour has two or three cameos, the Kardashians show up, Serena is there, and a host of others at the Gala and a pre Gala luncheon. I need to see the film again to spot them all ( if I know them all). And of course, the Met Gala is where we see quite a bit of Claude Becker ( also the pre event luncheon), as he ministers to a healthy and then not so healthy Daphne. By this time, Debbie has disclosed to the crew exactly what went on between them which caused her imprisonment, and his conduct at the Gala is a call back to that. The producers went all out for authenticity in this movie. As with every Met Gala, they came up with a credible theme, Scepter and Orb: Five Centuries of Royal Dress and a realistic, totally fabulous exhibit that seemed authentic. I won’t say much about the night of the Met Gala here, because I don’t want to give away spoilers. I’ll just say that the execution of the robbery was pure entertainment, with just enough tension and possible screw ups to keep it interesting, though, as with most of the film, one has to suspend disbelief to enjoy. Still, most of it wasn’t totally impossible. And, we get another scene with Debbie and Claude, which has a big pay off later and some great reaction acting by Armitage. As the evening ends, and the heist is a success, each crew member sheds her disguise, if she’s been wearing one, and exits in formal dress with the most beatific expressions, proud, strong and decked out. The small audience in the very large theater I was in cheered – in English and Spanish. After the theft – enter Insurance investigator John Frasier, played by James Corden. Every scene he’s in is a winner – some of the funniest stuff in the film with most of the main characters, including, as we know from trailers, Claude Becker, Debbie and Daphne. He’s described as a little Columbo without the raincoat, meaning don’t be fooled into thinking he’s not pretty sharp. Debbie’s not fooled. I’ve said now that at least two or three scenes were my favorite parts, but no – I have to add that the wind up, the finish, just before the final scenes, or let’s say, right up to that now iconic Subway scene ( along with a few things I’m saving for the spoilers post) are my favorites. Wait – no – it’s the scene with Daphne and Claude in his apartment because (a) it’s entirely looney and (b) ha! They had him take his shirt off! So, if I have a zillion favorites, and few criticisms, and Richard Armitage, I’d say that overall it was a wild ride and a roaring success. Anne Hathaway was a riot – is she or isn’t she number 8 – of course she is – but how? She stole the film, along with Corden. Sandra Bullock was Sandra Bullock. Cate Blanchett was a little annoying. I didn’t like the accent she chose – was it Brooklyn or some Boston dock worker? And there was a sort of nothingness to her role, except for the parts that hinted at her history with Debbie. Awkafina and Rihanna were charming. Sarah Paulson was uninteresting and Helen Bonham Carter was fun and her usual ditzy. Some supporting actors, as employees of Cartier and the Met Security team were entertaining – as men in this film, they were all sort of bumbling. In fact, every man in the film except Corden was bumbling, and he acted bumbling. The Claude Becker scenes were sprinkled throughout the film, so one never had to go too long without seeing him, although he didn’t have much dialogue (British accent). A lot of his stuff was background, visual with voice over, a few hellos with chit chat, and some dialogue. This isn’t that easy, so fortunately they cast an actor who excels at reaction and physical acting. I look forward to a very close analysis of this from some expert. 3,000 words – see part 2. 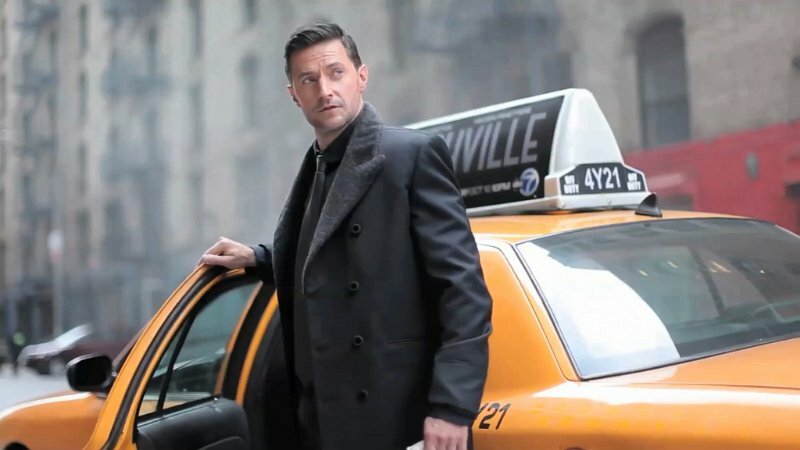 This entry was posted in Richard Armitage, Uncategorized and tagged Anne Hathaway, Fan Review, New York City, Ocean's 8, Richard Armitage, Sandra Bullock. Bookmark the permalink. That scene where they all exit in costume to give themselves an alibi was one of my favorite ones — every time I saw it, someone in the theater was singing along to the Nancy Sinatra song. The film really sets up a lot of good will for them. And they have such great dresses. I wish Paulson could have had Sarah Edwards dress her for the premieres so far — her character is so much more classic and stylish than her weird outfits on the red carpets would suggest. Have to disagree re: Sarah Paulson — I thought she was tossup for most interesting, along with Awkwafina, who had the most comic walk I’ve seen in recent memory. I would not have gone to see Crazy Rich Asians and now I might. Also heightened interest for me in Mindy Kaling after seeing this. Not sure I’m any more interested in Rihanna but I now totally get what the fascination might be. Blanchett and Bullock were pale in comparison. This might be because they were the “masterminds” so we didn’t see them do as much stuff. And with your overall point — that this was mostly just a lot of fun – I absolutely agree. If you were going to drag friends an hour to see a film, this was a good choice in terms of not having to explain yourself and not having regrets afterwards, or frustration. LOL. Welcome and thanks for the comment. I wound up going with two friends. 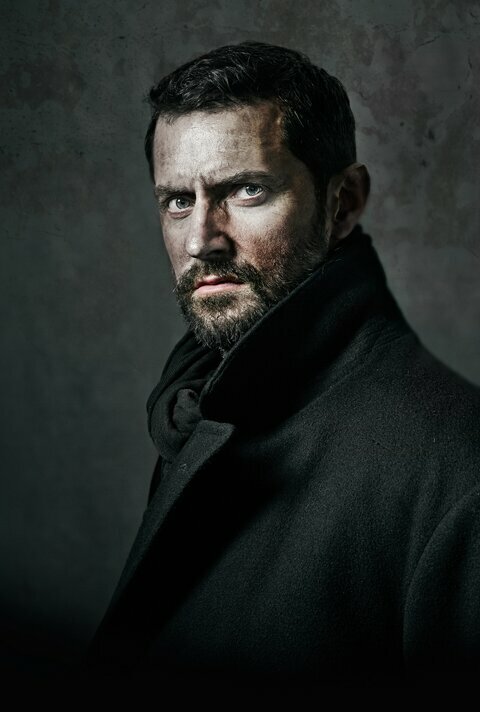 ONe asked me half way through when Richard Armitage was coming on, and the other said she didn’t know who he was at all – but then she said she watched Berlin Station, and she didn’t know which one he was, which is inexplicable. But they liked the movie as much as I did. I’ve heard Crazy Rich Asians is a fun book to read. Re: Paulson’s dress ( and the others) A lot of Haute Couture is just horrible in my eyes. The pink number was better than chartreuse – but both were pretty ugly in my eye. But I also think Mindy Kali’s London dress was awful – way too old for her. I think Kaling has a body (short, roundish) that haute couture doesn’t design for. Sadly for haute couture. That’s true, but check out a search of her on red carpets, and she is often in more youthful and fashionable dresses. So why pick these, I wonder.